are respectful, responsible and safe users of technology and the internet. Our children understand the risks involved online and we work together to develop strategies and build an awareness on how to report situations if they come across something either inappropriate or uncomfortable to them. 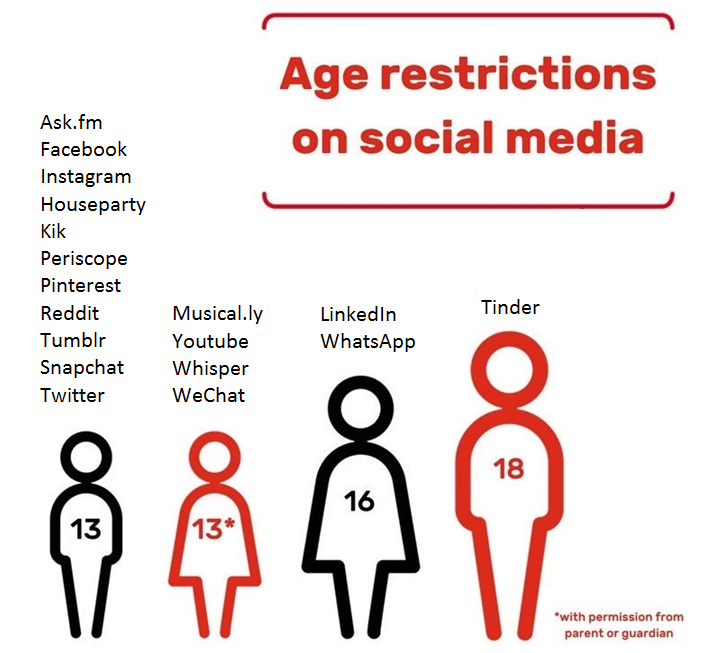 This chart shows the age restrictions for a number of popular social media platforms. Please note that none of the children in our school are old enough to be using any of these online platforms. Age restrictions on social media platforms are in place to keep children safe, as they are too young to understand the implications of their posts or effectively handle dangerous situations. The CEOP’s website “Think You Know?” advises the following about sharing images of your child on social media sites such as Facebook and Twitter: “The internet can provide fantastic tools for sharing special moments from your child’s early years with family and friends. And online parenting forums, networks and blogs often provide valuable support and reassurance through parenting’s ups and downs. But before you share, you should give thought to exactly who can see photos and comments featuring your child, and how this online footprint might affect your child in years to come.